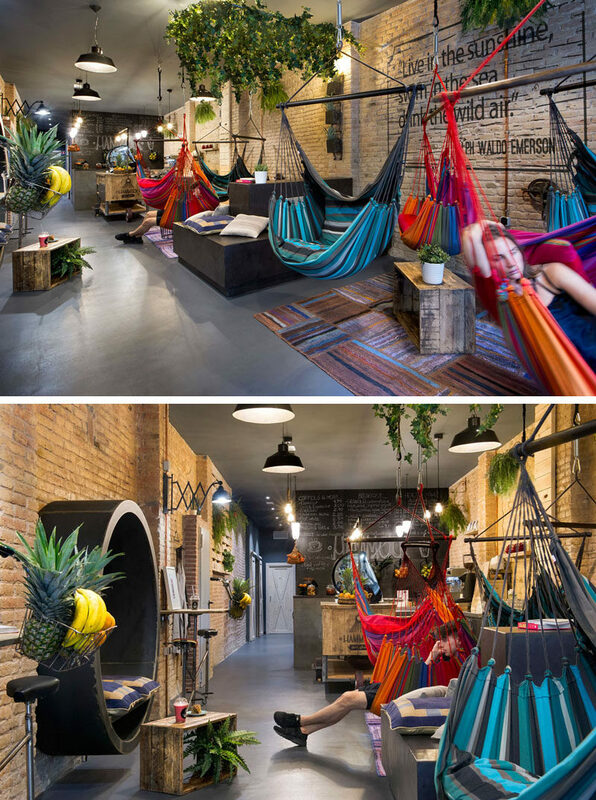 Design firm Egue & Seta have recently completed Hammock, a juice bar in Barcelona, Spain, that appropriately features plenty of hammocks. 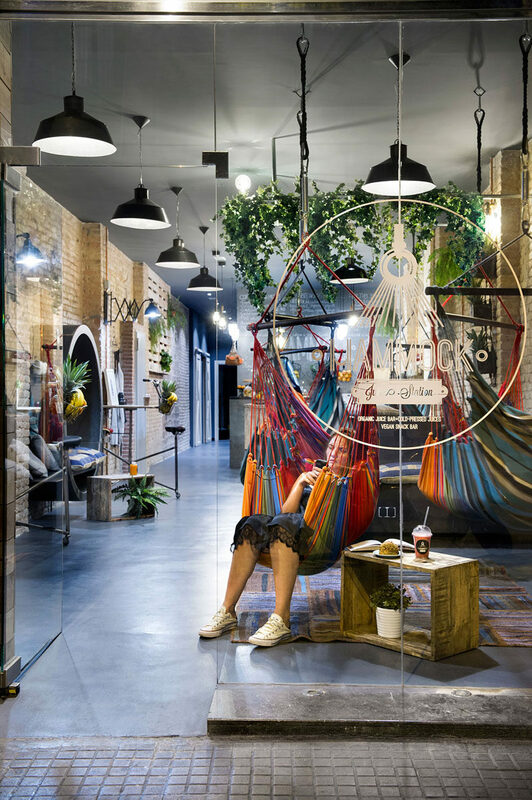 This juice bar takes relaxing to a whole new level with a selection of seating options, that include hammocks, benches, circular nooks and stationary bikes. 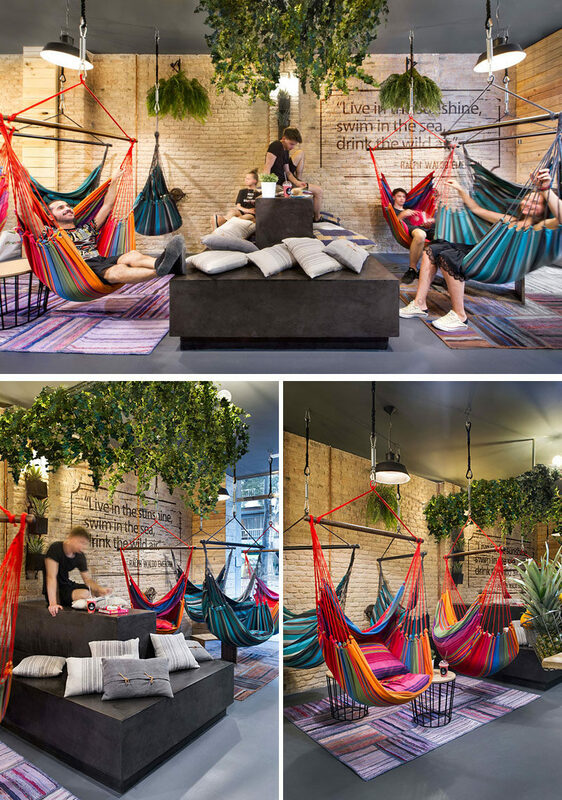 Bright colors in the rugs and hammocks, as well as the hanging plants, liven up the space. 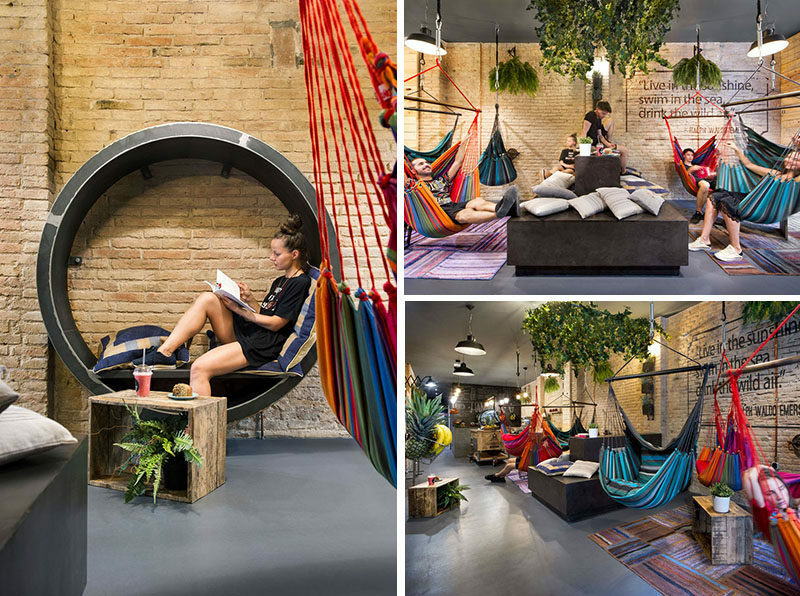 While the hammocks can swing around to chat to your hammock neighbor. Mounted on one wall is a circular reading nook with comfy pillows. 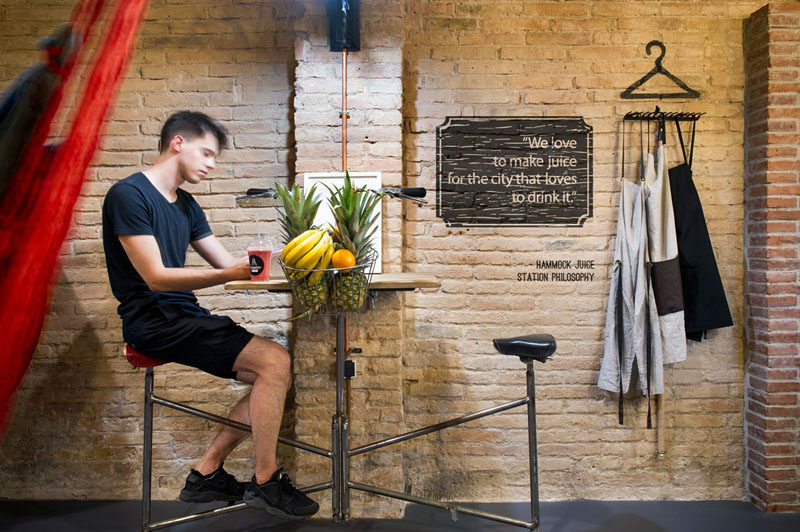 These stationary “face to face” double bicycles keep your feet busy as you drink your juice. At the rear of the space is the service area, with a wooden table featuring the juice bar logo. 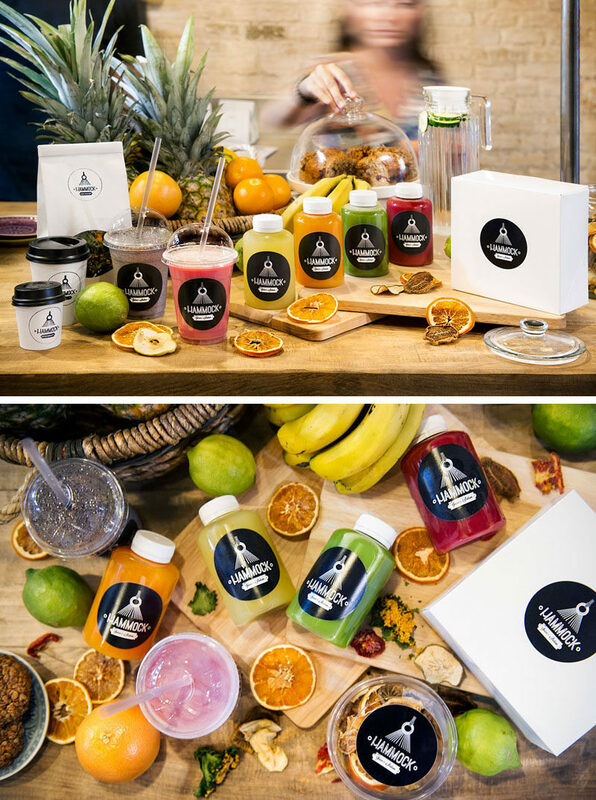 All of the graphics found throughout the juice bar have also been designed Egue & Seta.